How to setup dev environment? 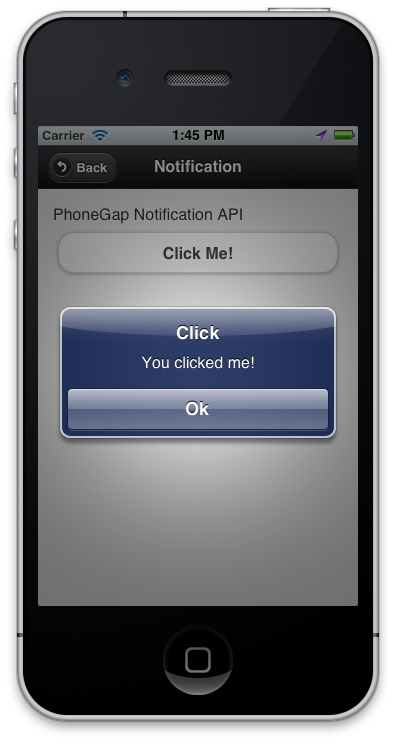 First thing to get started is visit PhoneGap’s website where they have instructions on how to setup your environment to create an iOS and Android app with PhoneGap. Just select your platform and the instructions will update update on the page for that environment. After you have your iOS and Android environment setup using Xcode and Eclipse, copy the web files into the “www” folder for each project. Below is a screen shot of the project navigator or package explorer inside Xcode and Eclipse. Since I’m reusing the web files, all the code is exactly the same across the Android, iOS and Windows Phone 7 app. 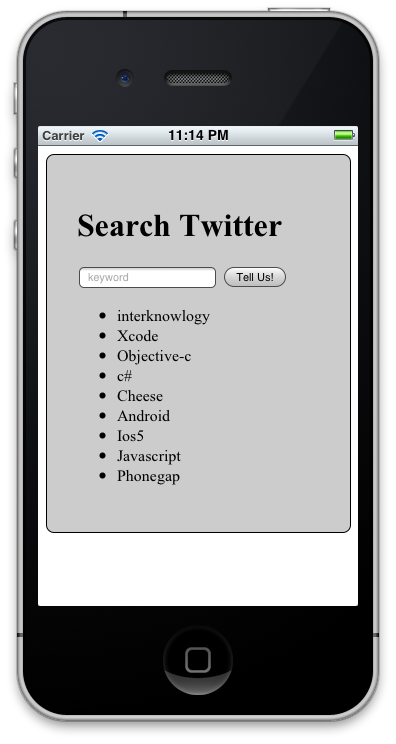 So, I’ll just show a few of the pages/screens in the iPhone simulator and Android simulator. Click here to download the iOS example project. Click here to download the Android example project. 1. 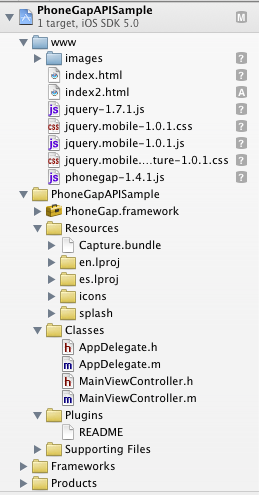 PhoneGap has a great Getting Started tutorial for all the mobile platforms. 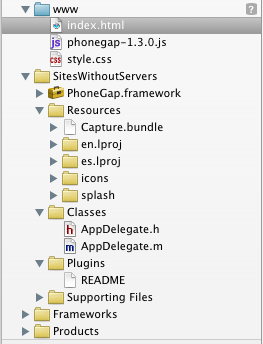 Download the PhoneGap tools and the specific set of tools for the platforms you’re working with. For example, download Xcode and iOS SDK if you plan on porting your web site to an iOS application. 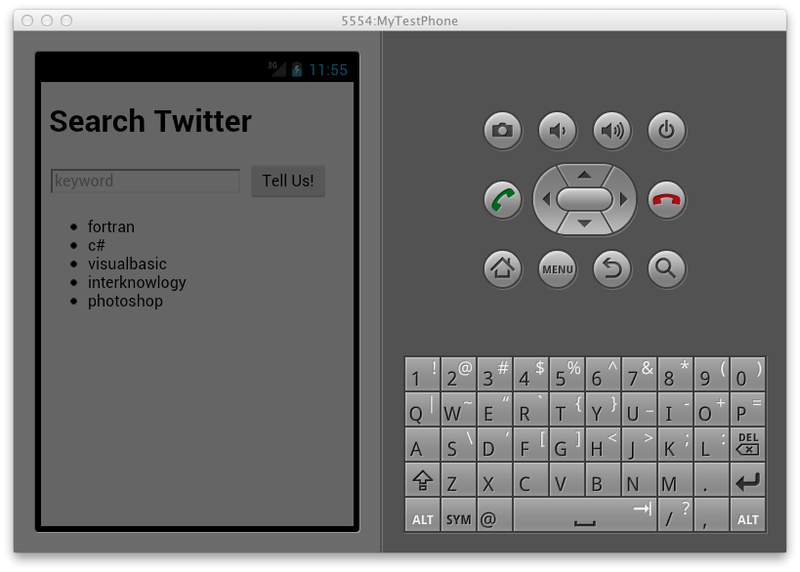 Download the Android SDK and Eclipse if you plan on making an Android application. 2. Install all the platform tools and PhoneGap to your existing environment. 5. 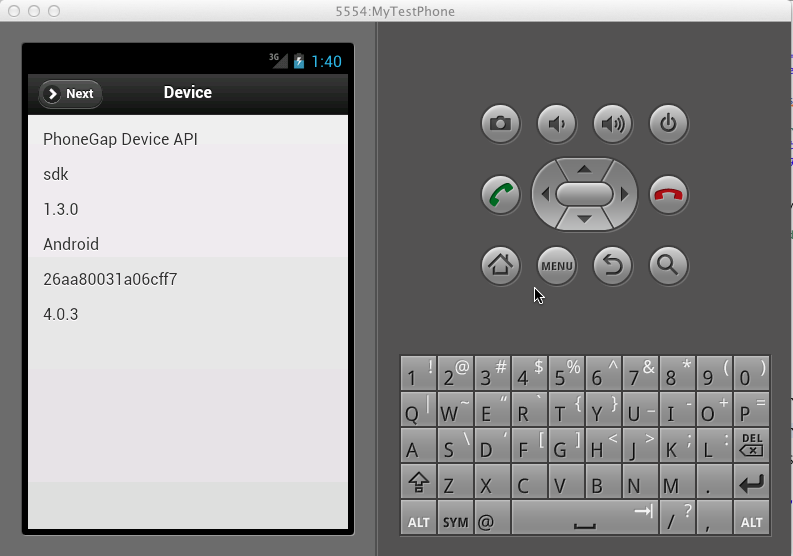 For Android, install Android SDK, Eclipse and then the Android plug-in for Eclipse. 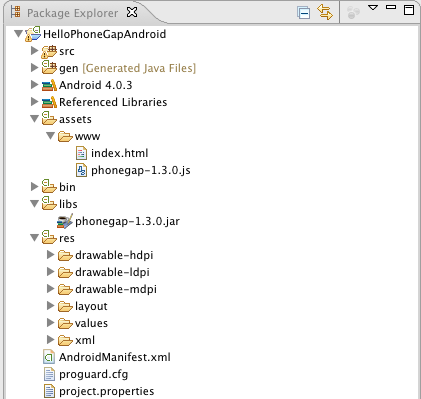 Create an Android project in Eclipse and follow these steps to modify the project to support PhoneGap. 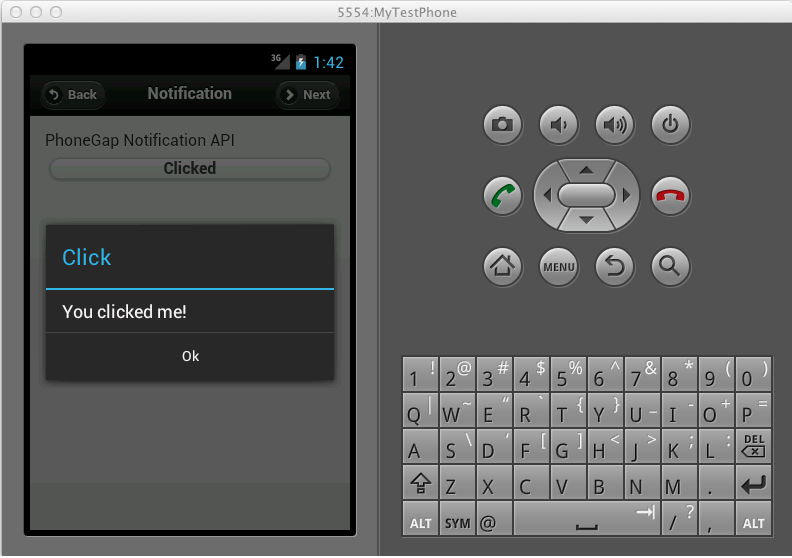 Then run the project and select an Android Virtual Device (AVD) to use as the emulator to display your application. 6. 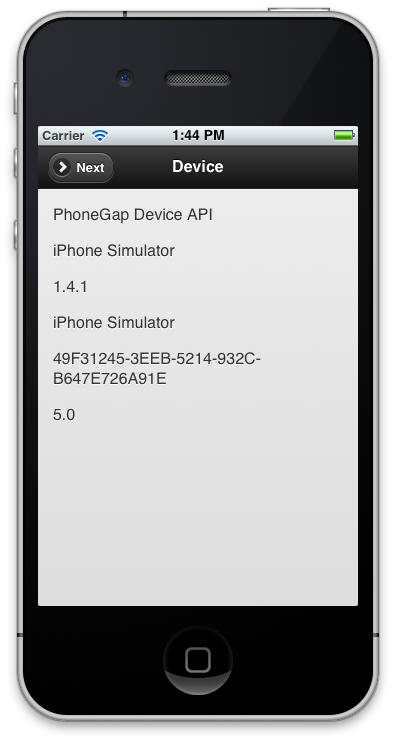 Steps 4 and 5 can be done for you using PhoneGap Build. Just upload your web application files using their Cloud service and they will send you back app-store ready packaged files for the mobile platforms they support. 7. A noteworthy caveat is you will have to tweak some of your web language code depending on which mobile platform you choose. 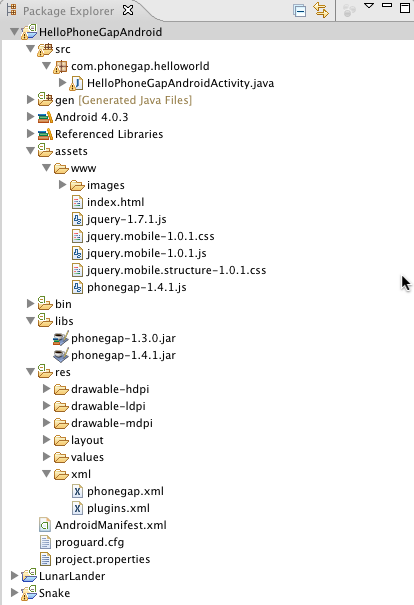 Not all mobile devices are similar in hardware but PhoneGap does an excellent job in pointing out issues through their API Docs section on their web site. // event handler for the clicks on <li> elements using event delegation to catch all of these events. As the web site example above shows, if you need to connect your application with a remote web service, you can easily bring in tools like jQuery to create powerful Ajax handlers. Or as I demonstrate in how to use XmlHttpRequest objects. As I pointed out in step 7 above, just because you code a web application using PhoneGap and it works on an iPhone device, it doesn’t automatically mean that it will work on other devices. You will have to test and tweak for the other devices that are supported. If you want to port to multiple devices, you will need separate environments for each wrapper. For example, you won’t be able to maintain your Android PhoneGap wrapper with Xcode. I used my Mac and have installed Xcode and Eclipse but I make sure I keep them in separate environments. 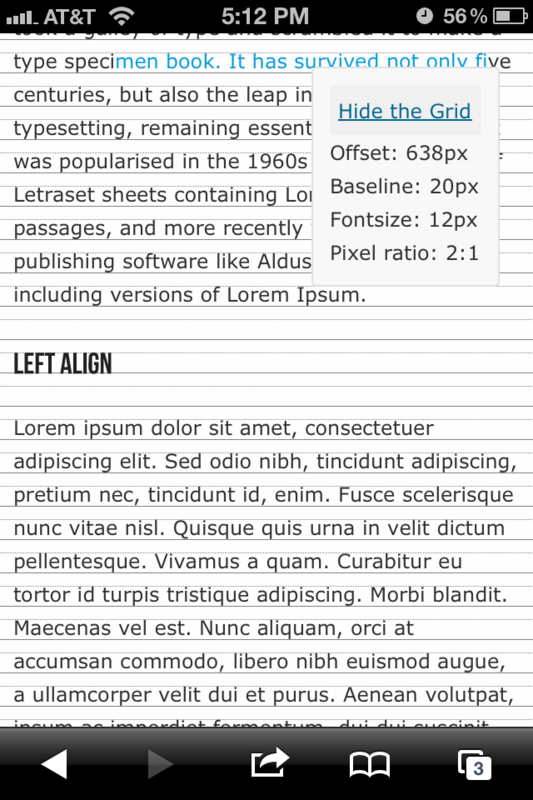 Just a quick heads up, I updated TypeSetter to work with high density displays. So if your on an iPhone 4 or 4S, or any other device that has a non standard pixel ratio and uses the baseline script it will show up clean and sharp.